Priced at Rs 95,000 for FZ-Fi & Rs 97,000 for FZ-S Fi (ex-showroom, Delhi). Bookings open at all Yamaha dealerships from today. Yamaha India has launched the FZ Version 3.0 and the FZ-S Version 3.0 today - an update that was long overdue to the venerable FZ range. 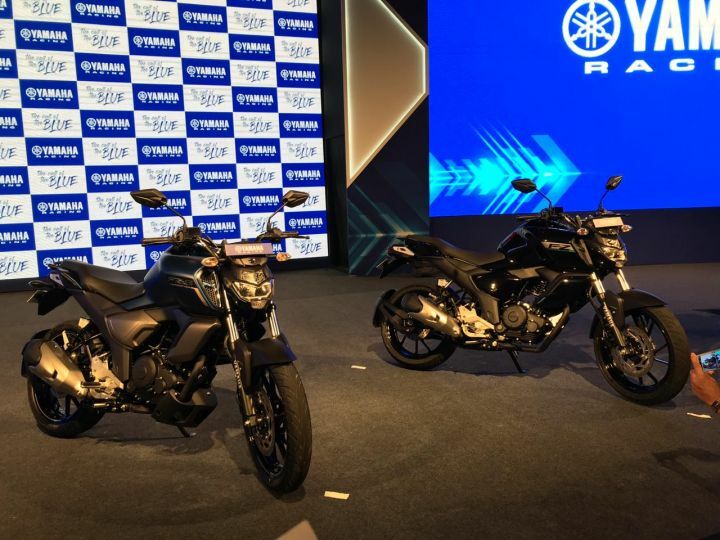 The 150cc motorcycle is available in two variants, with prices starting from Rs 95,000 (ex-showroom Delhi) for the FZ model and Rs 97,000 (ex-showroom Delhi) for the FZ-S variant. A difference of Rs 13,000 & Rs 9,000 respectively. The most popular motorcycle in Yamaha's lineup now competes with the Bajaj Pulsar NS 160, TVS Apache RTR 160 4V, Suzuki Gixxer and Honda CB Hornet 160R in the country. Updates for the 2019 models include a new LED headlamp which is a bit reminiscent of the M-Slaz sold in the South East Asian markets. The LCD instrument cluster is also new, and so are the tank extensions. They are now beefier, a la the FZ25, and there’s a new belly pan too on the 'S' version. The handlebar is 22mm taller and closer to the rider. Interestingly, the seat is a now single-piece unit instead of the split-type ones in the previous bike. This should result in better comfort for the pillion. What’s remained unchanged is the tail section, which looks the same as its predecessor. The exhaust design is now more along the lines of the FZ25. Unfortunately, Yamaha has left the engine in the same tune as its predecessor. The 149cc single-cylinder air-cooled, fuel-injected motor generates 13.2 PS of power at 8000rpm and 12.8 Nm of torque at 6000rpm. Yamaha says the engine is now tuned for better low-end performance. Yamaha has retained the telescopic front forks and rear monoshock from its predecessor. They are just fooling the customers, with remodeling it instead of improving its engine and increasing its power. They are just fooling the customers, with remodeling it instead of improving its engine and increasing its power. great bike it seems? great bike it seems?